Disappointed in the smell of your new artificial Christmas Tree, or worse, a natural Tree Farm Tree? 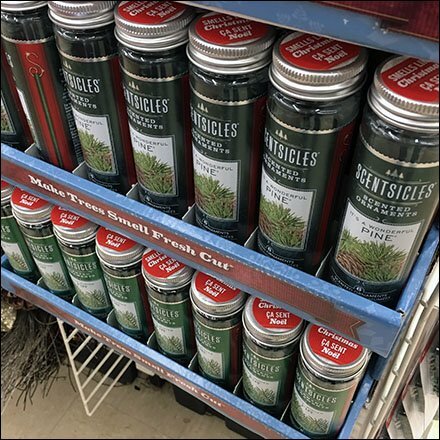 Now get that New Car Smell for Christmas Trees via Sensicles. Of course that headline is a bit creative because you actually get a “New Tree Smell.” Demand is predicted to be heavy, at least judging by the quantity merchandised by this Sensicles PowerWing display. And restocking is as simple as deploying a new carton of Sensivles to any depleted PowerWing Shelf. Consider this New Car Smell for Christmas Trees approach in the gallery of images.